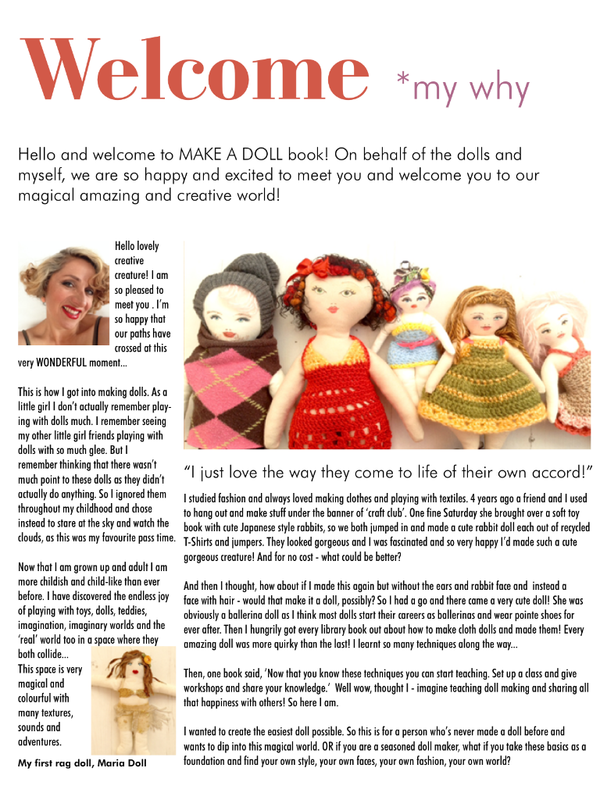 Special Subscriber Offer - Make A Doll book just £8! Simply click the BUY NOW PayPal button and you will be taken to a payment screen. Once payment has been accepted, you will be given a link to download this eBook. The beauty of this simple pattern is that you can make it as big or as small as you like. I recommend that you begin with the size I have shown in the book whilst you are learning, and then when you get more confident play with making them smaller by scaling the pattern down on the photocopier. Then play with making a doll that looks like you or a friend! I really encourage you to find your own style, your own way of doing faces, hair and clothes and ENJOY! 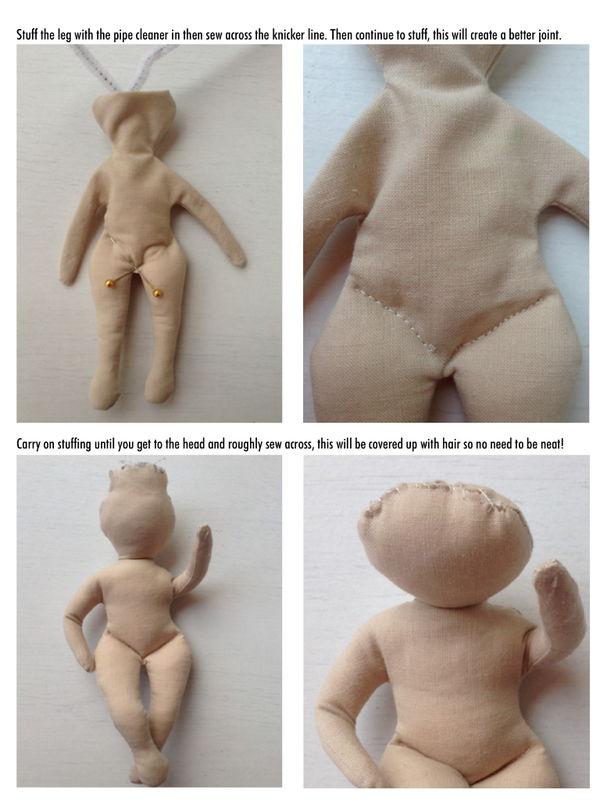 How to make the easiest possible cloth doll! Includes pattern for body which has taken me years to perfect and is in anatomical proportion - plus a super up-to-the-minute bias cut dress! See below for some page previews of the book which I have created as a picture step-by-step guide for those visual learners out there. I can't follow written instructions very easily at all and I find it better to see the tutorial so that I can make sense of it. ​If you prefer this style of learning and working then this book will work for you. You will be making this doll featured below wearing the fashion-forward yellow block print bias-cut dress. She is made from an all in one pattern that is super easy to sew. 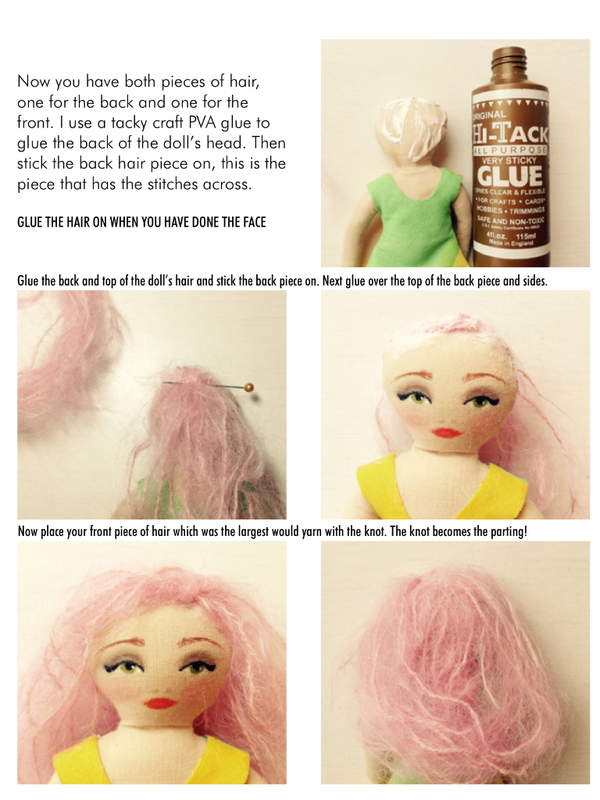 You will leave the top of the head open to turn and stuff your doll so there is no need to make a back seam for stuffing. 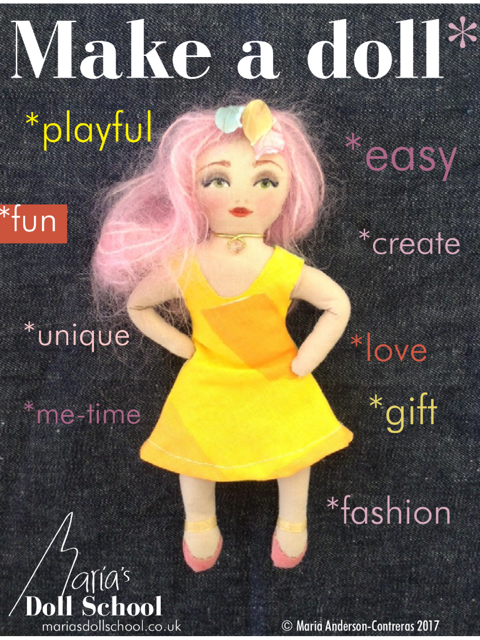 I've made every step as simple as possible so you can enjoy your doll making with more joy! 3 preview pages from the book with step-by-step instructions!